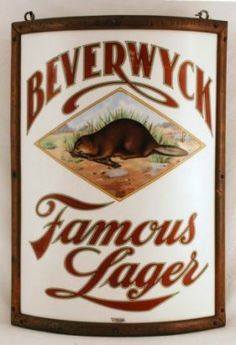 Featured is a gorgeous vitrolite corner sign from the Beverwyck Brewing Company based in Albany, New York. This sign is pre-prohibition era, circa 1910 with a nice brass frame holding the glass inside. Vitrolite corner signs are very collectible breweriana pieces today!